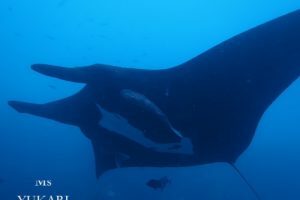 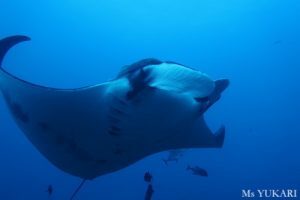 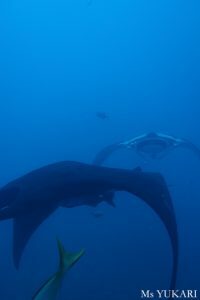 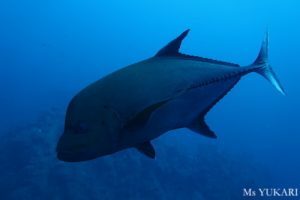 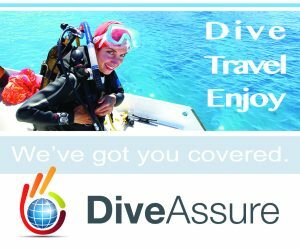 The day 6, at El Canyon, we had a great luck to see a Manta Ray and a Black Manta right away! 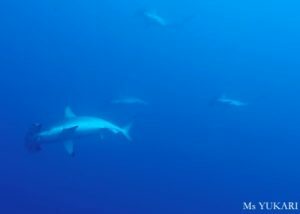 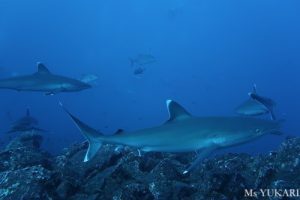 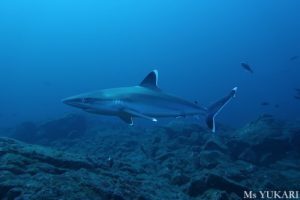 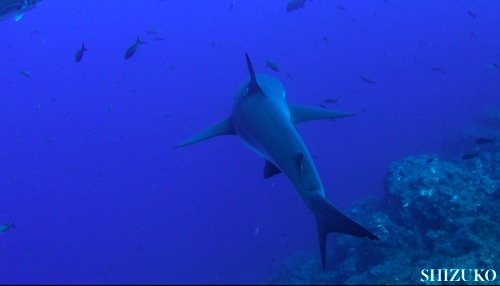 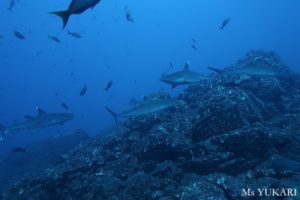 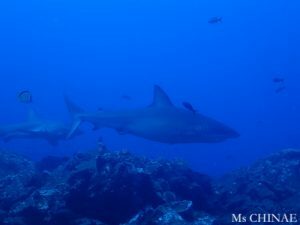 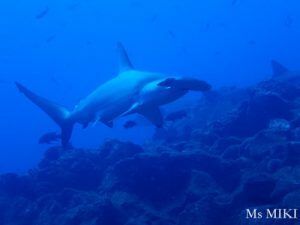 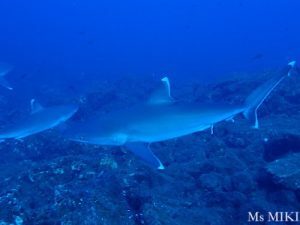 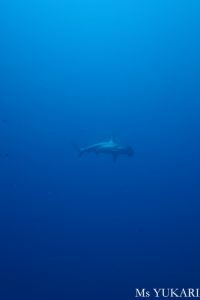 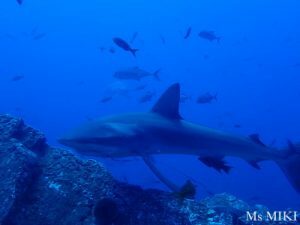 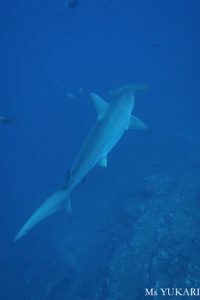 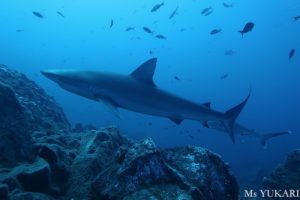 Then, even we left the Manta party, still Hammerhead Sharks and three of huge Galapagos Sharks and a Dusky Sharks excited us very well. 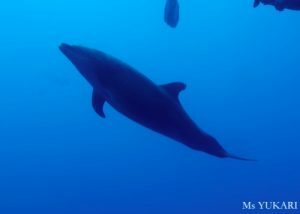 And I had to mention about the Dolphins we could not see in the water during this trip until the last day! 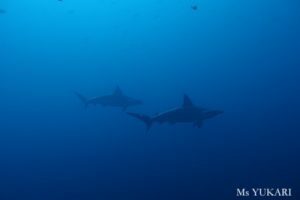 They came to see us at the end, lead by the school of Jacks. 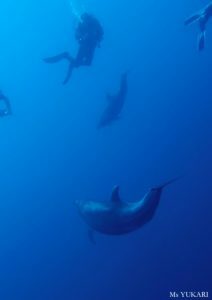 The water temperature was 23-24 deg.C. 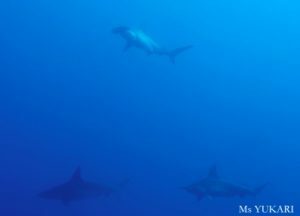 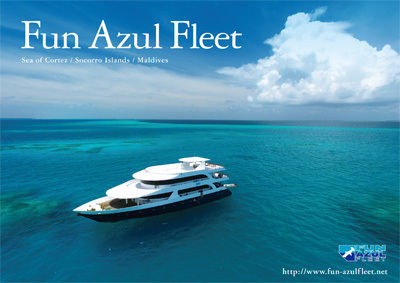 Thank you all for joining us this trip with M/V Valentina and also for making this trip fantastic! 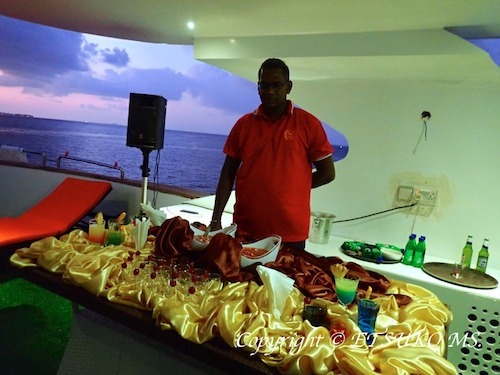 And we were grateful for you staying positive and cooperative when we had a machine trouble during a trip. 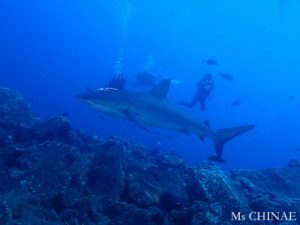 Hope to see you all again!